UK-based Wooshping has shown how bands can use NFC tags to allow fans to add their music to Spotify playlists, so just tapping a smart poster can start a track playing. The system takes advantage of a feature of the streaming music service which allows songs to be selected and played by simply requesting a particular web page URL. The same principle can be used with Nokia Music, iTunes, Deezer, We7, and Google Play, says Wooshping. The company routes requests generated from the tags through its content management platform, which is able to forward them to different services depending on the phone’s operating system. This means that Android phone users could be sent to Google Play while Nokia users are directed to Nokia Music. 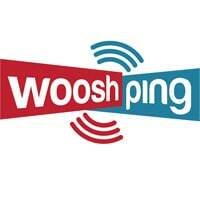 The Wooshping platform also supports QR codes, tracks user activity and provides full usage reports to service users. Wooshping is promoting the concept with a competition that allows one lucky band or artist to win 100 pre-programmed NFC tags and use of the company’s platform. The competition closes on 30 June 2013 and full details and rules are available on the company’s website.